When Sam and I started LOVE CALL, we did it with the firm belief that the real measure of a party was its residents, and that the real path to the open, friendly, fun vibe we all love to find at a party was not the result of expensive international bookings, but local talent, attention to detail, and the character of the people who attend the party regularly. We have something we know is very special: the best crowd we’ve ever seen at a dance-music party in Seville. The incredible vibe of the LOVE CALL parties is almost entirely a local, Seville-based achievement. 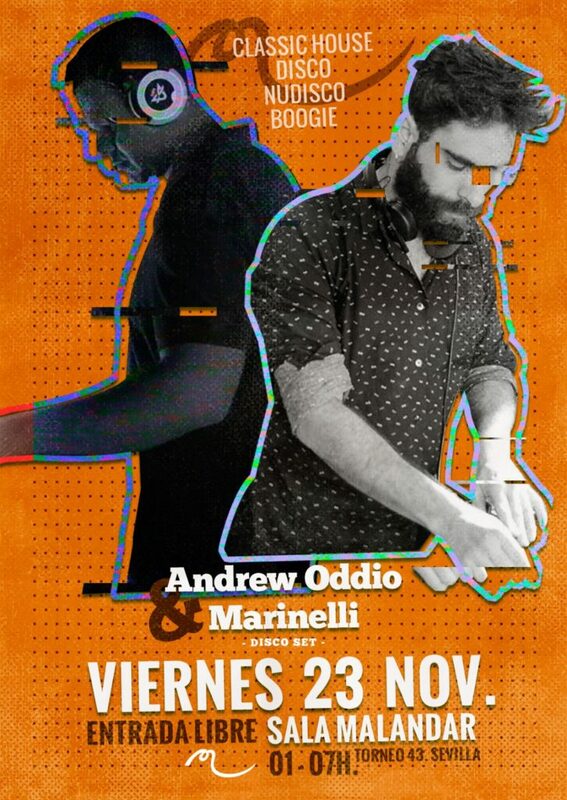 In two years we’ve had just three guest DJs–JSD, Lovespread, and Juani Cash–all of them Spain-based DJs of the highest calibre. It’s been a great pleasure to welcome them into the family and show them what a special thing we have going. We’re not about to risk it by switching things up too drastically–yet at the same time we feel it’s time to reach beyond our local surroundings and start inviting, on occasion, the DJs we, ourselves, most admire. Our next guest, Marcel Vogel, is one of these people–boss of one of the best disco and house labels to come out of Europe in the past decade, and a DJ very much after our own style and taste. 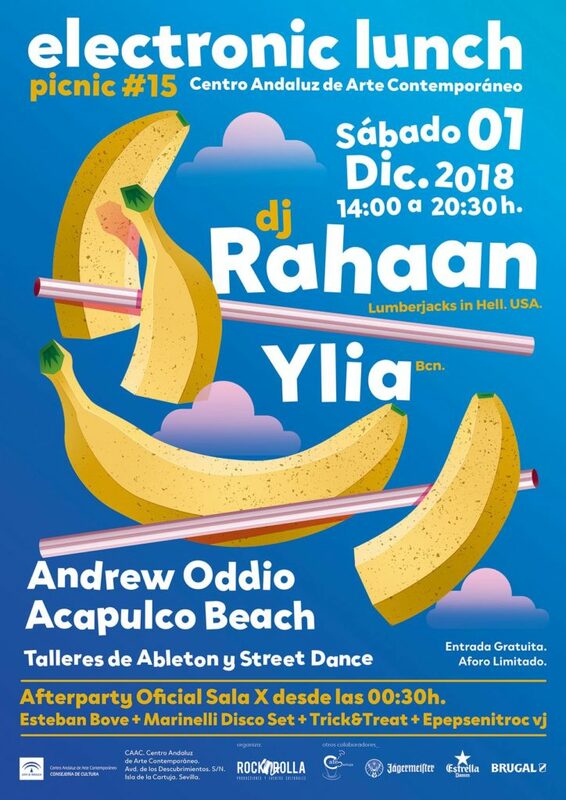 The economics of bringing guests to a party–even local ones–isn’t easy, so for this very special occasion we have to raise our usual low price of 6 euros (including drink/2 beers)–which is to say “free” for drinkers–to 8 euros (drink/2 beers STILL included!). Price increase aside, we don’t want to leave any of our people out in the cold, so we’re offering discount entry at the usual price of 6 euros (yes, you still get the drink or beers!) to the first 100 people who sign up for our new mailing list. 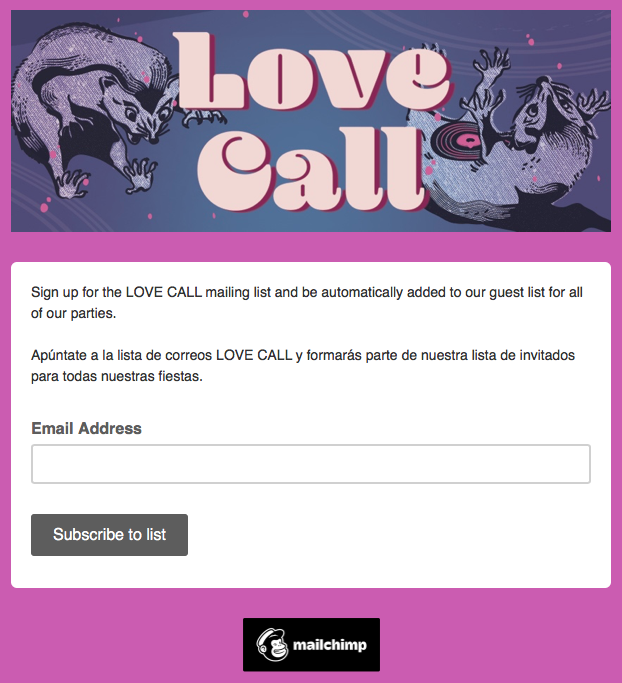 We promise to send very few emails–always relevant to where you live and in the language (English or Spanish) you prefer–and as long as you remain on the email list you will automatically be put on the guest list for EVERY Love Call party!!! Of course, if you have a little extra and don’t mind paying a bit more, as a number of people have said they would, we thank you!